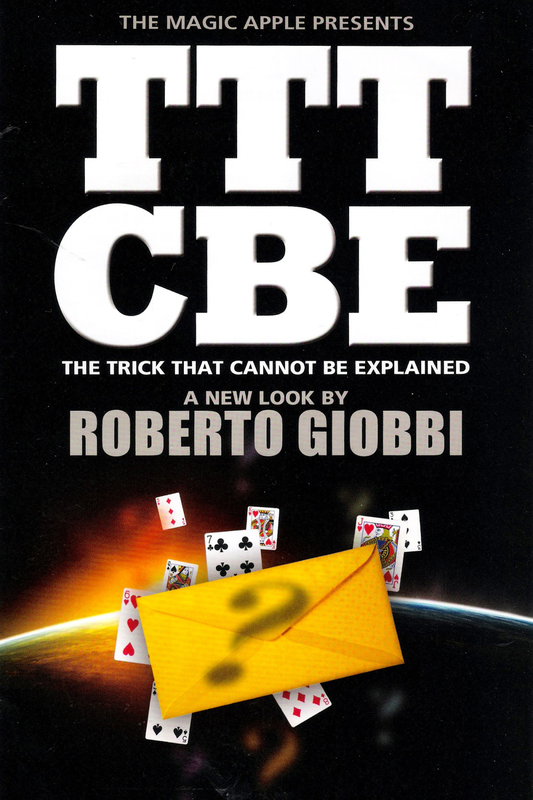 Based on Dai Vernon’s famous “Trick That Cannot Be Explained”, Roberto Giobbi offers a practically foolproof procedure to obtain a virtually perfect prediction, along with a logical and fascinating presentation. A professional piece of amazing magic for magicians and mentalists. The performer shows an envelope he says contains a prediction. This envelope is left on the table the ENTIRE time. The spectator shuffles and cuts his own deck and with obvious freedom selects a card. Upon looking in the envelope, you show a picture of a ’52 on 1′ card and point to their card. Then you turn the single ’52 on 1′ card over and it is exactly the same – a perfect prediction! Includes all the gimmicks, card envelope and complete full color instructions. Perfect trick to hand out your business card.